My valentine couples. A watercolour portrait. 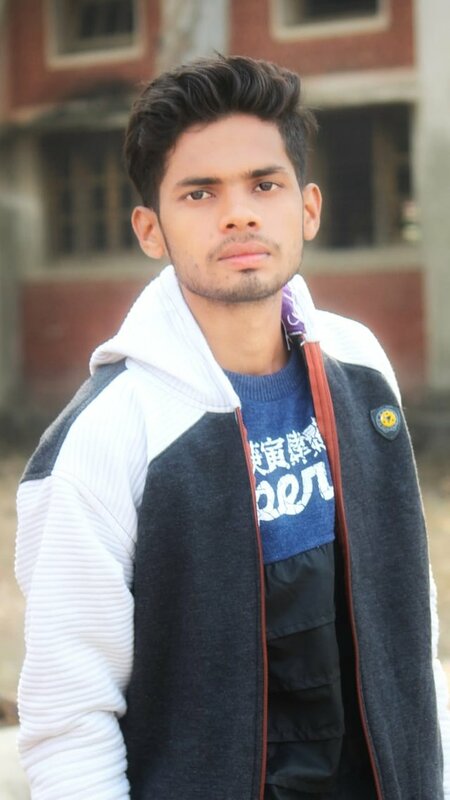 Friends good evening this is Raghao Singh from India. 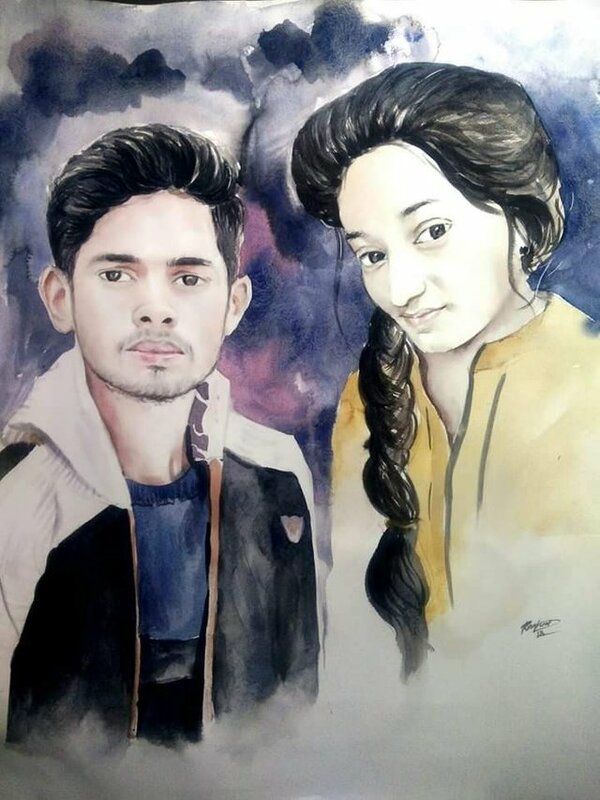 My friends today I am going to share a very beautiful and full of love 💕 watercolour Portrait of very beautiful and sweet couple. Friends here I added another portrait and completely merged it with the portrait of that handsome guy and yes you guessed it accurately actually they are very passionate to each other and loves each other so much, so they want to make this moment memorable and photograph as well and they told me can I make this portrait before the Valentine’s Day and yes I did it and not it’s completely awesome. 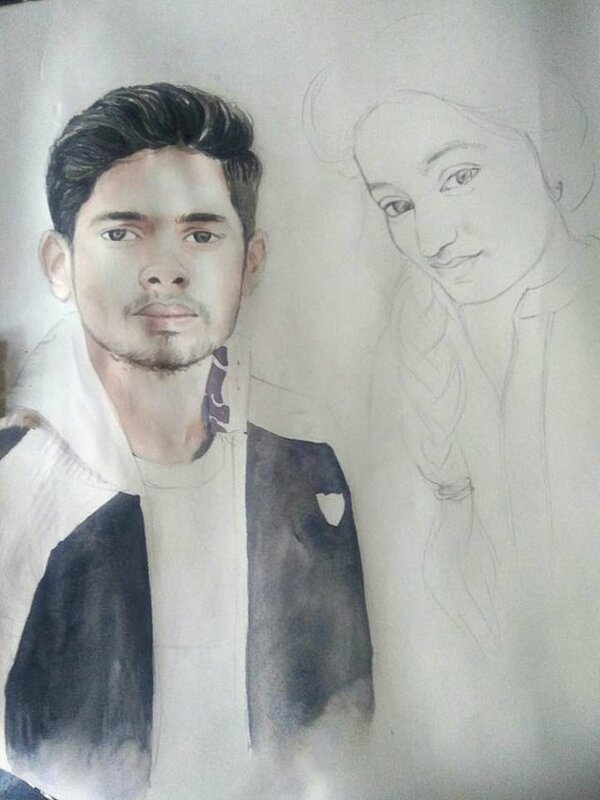 So friends here below I added the complete making process and I hope you will definitely enjoy it. 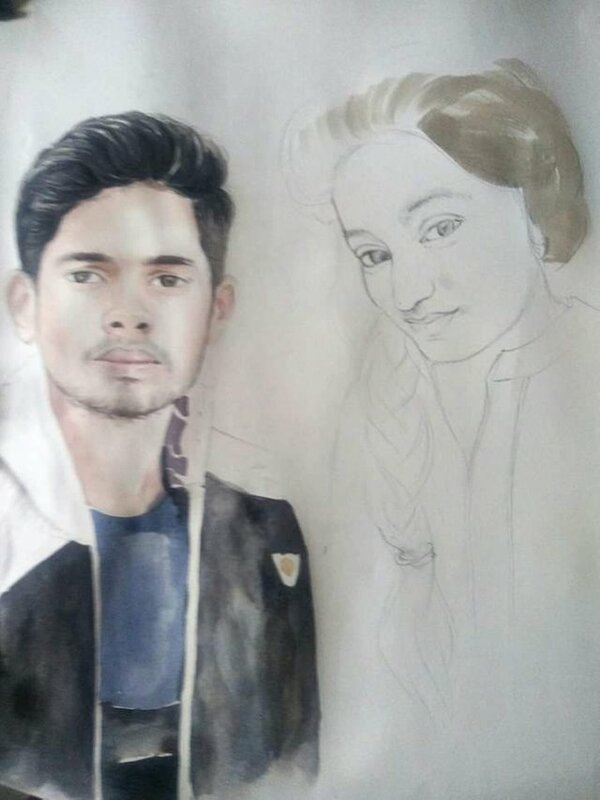 Share your reviews and opinions on my artwork. You catch the proportion of human face well. Good work! 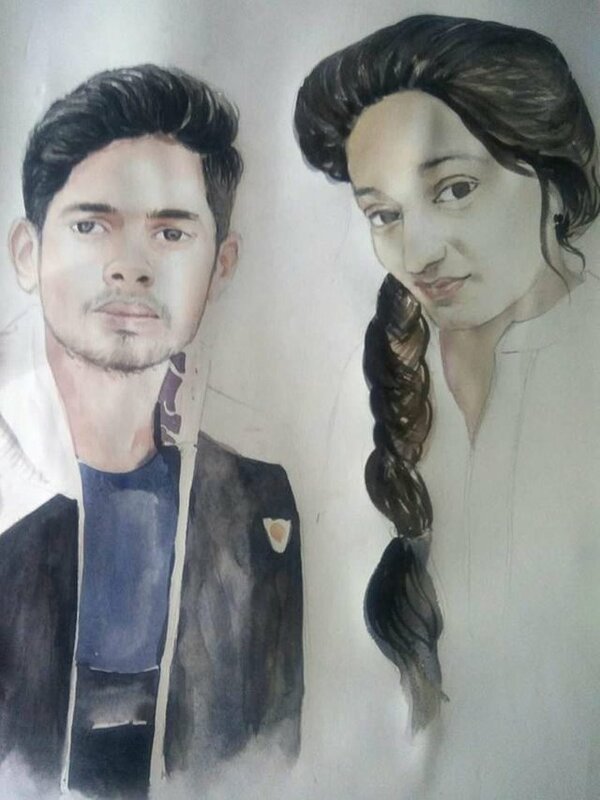 I really like your technique, the details on the hair are really hard to make and you did them splendidly. 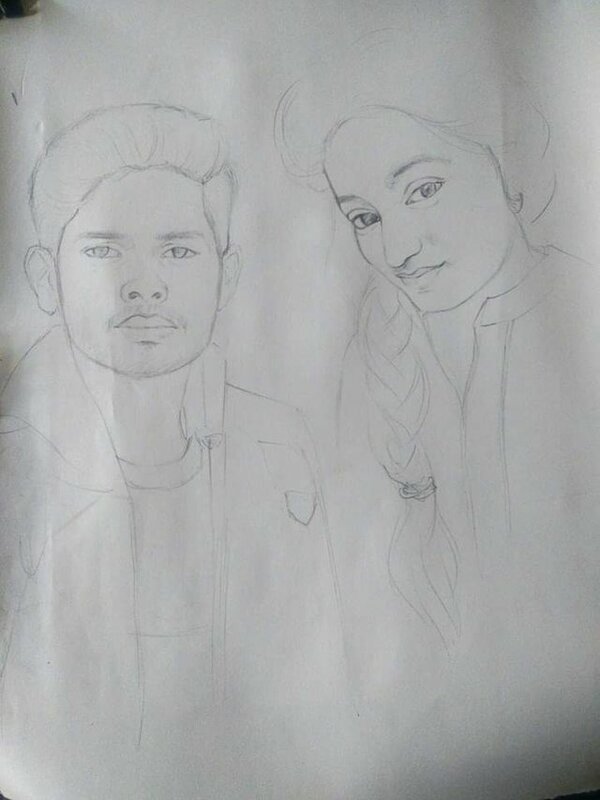 Thanks for sharing your artwork with us, best regards.